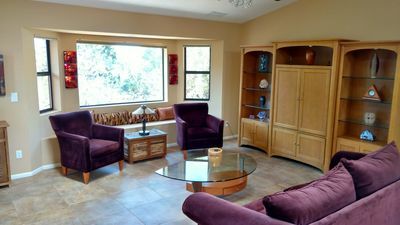 Come to our charming retreat in the village of Oak Creek. 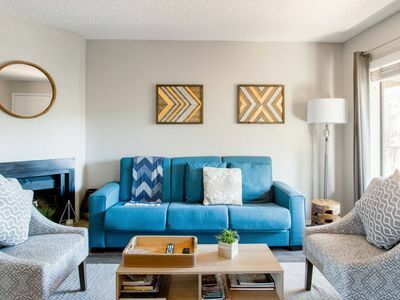 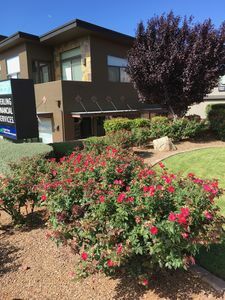 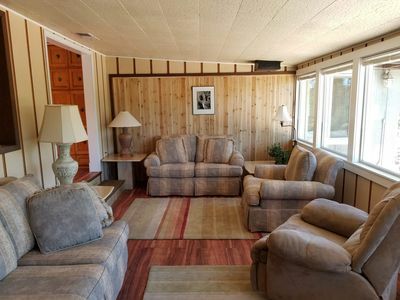 We offer a condo tastefully decorated with Southwestern accents that includes a California King Size bed in the Master Bedroom and 2 XL twin beds in the second bedroom. 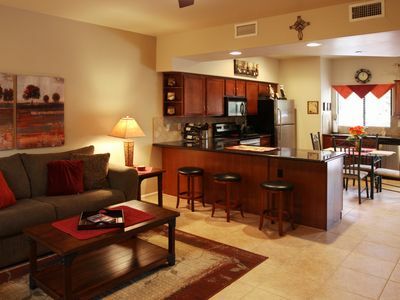 We offer WiFi in the unit, as well as a wireless printer that guests can use with their laptops. 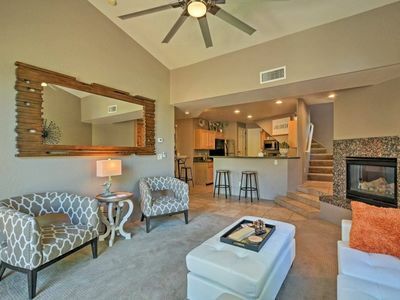 There is a 48" flat screen TV and DVD player in living room and a 32" TV and DVD player Master bedroom. 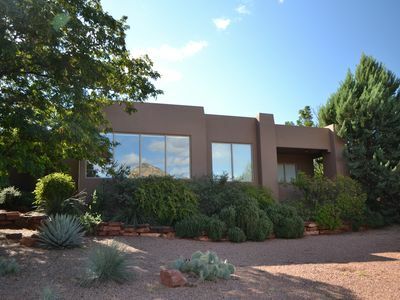 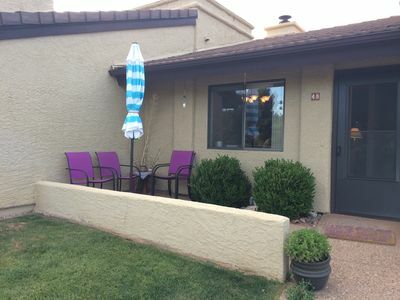 A nice patio off the front side has a table and chairs, a BBQ and views of the nearby mesas. 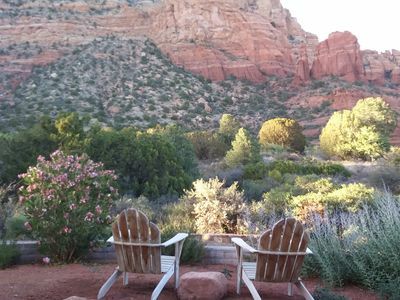 Two outdoor sitting areas off the back bedrooms offer additional peaceful areas to relax. 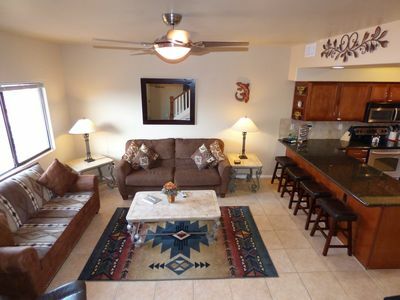 Both bathrooms have been upgraded with granite counter-tops and vessel sinks. 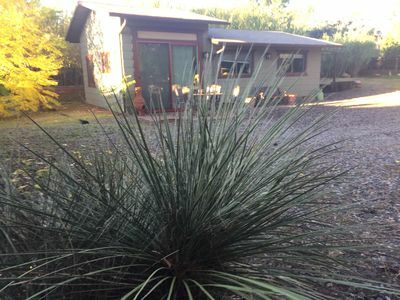 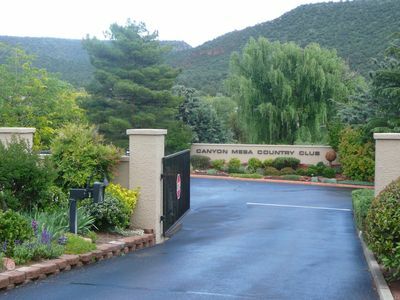 Our Casita is located amidst the beautiful and tranquil grounds of the gated Canyon Mesa Country Club. 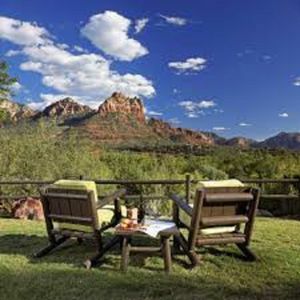 As a guest, not only will you have access to the pool and hot tub (May-October) and tennis courts but you can play the scenic 9 hole executive golf course for only $16.50/round or purchase a month of unlimited golf for only $185. 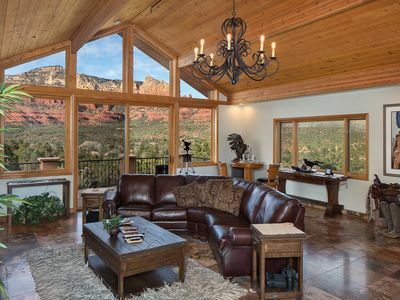 In the evening after a wonderful day of hiking, biking, tennis, golfing or shopping, put a log in the gorgeous large stone fireplace and sit back and relax. 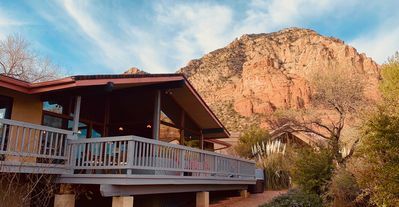 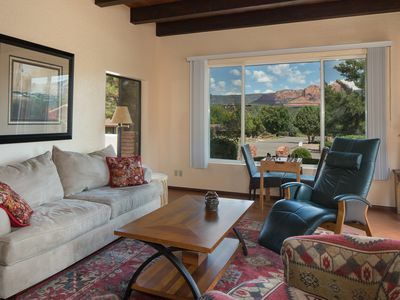 A Red Rock Pass is yours to use while staying at the condo. 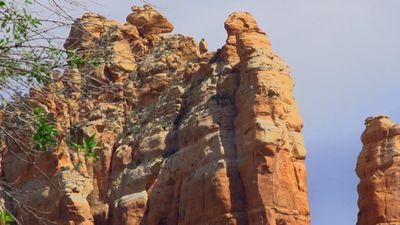 This will allow you to park free of charge at most of the parks and trail heads in Sedona. 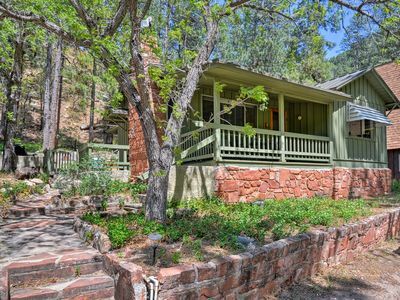 Oak Creek Canyon Cabin w/Heat - Walk to West Fork! 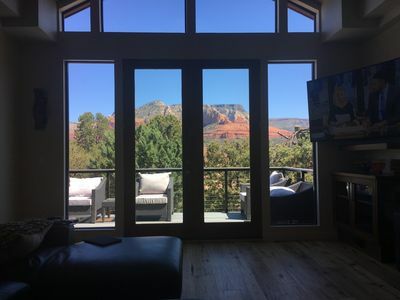 Dynamite Red Rock Views, no add’l cleaning fees. 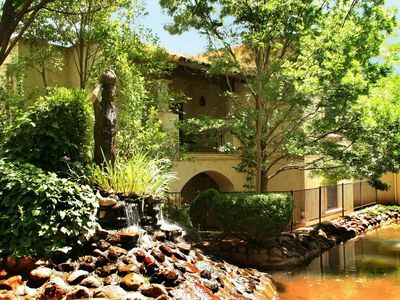 Lose yourself in the magick at Los Abrigados!